In Glasgow we participate in three European Reference Networks (ERNs); Rare Bone Disorders (ERN BOND), Rare Endocrine Conditions (Endo-ERN), and Rare and Complex Epilepsies (ERN EpiCARE). In Scotland, there are an additional four centres taking part in ERNs to help those affected by rare craniofacial anomalies and ear, nose and throat disorders; rare respiratory diseases; and, rare and undiagnosed skin disorders. For Endo-ERN, I sit on the steering committee as the ICT/e-health lead and have also received separate funding from the European Commission to develop the registry for this ERN: European Registries for Rare Endocrine Conditions. This registry, one of only five ERN projects that were successful in applying for funds, will support the centres of excellence within Endo-ERN. The UK Government has confirmed that if we leave the EU without a deal, the UK will no longer be able continue to participate in ERNs. The UK Government’s favoured Brexit proposal may only allow us to continue to participate during the transition period. While the funding is secure for the European Registries for Rare Endocrine Conditions, I am being increasingly told by my partners that irrespective of how the UK leaves, it will look very strange for a registry that supports work in EU Member States to be running from Glasgow. This may have consequences for the future of the project. Within Endo-ERN I am also involved in another project funded by the EU, which aims to explore the effectiveness and value of the Clinical Patient Management System, an online secure platform which allows clinicians with an ERN to discuss a complex case. Of course, in Scotland the concept of telehealth is nothing new but to be able to do this for extreme rare conditions with international experts is potentially extremely valuable. 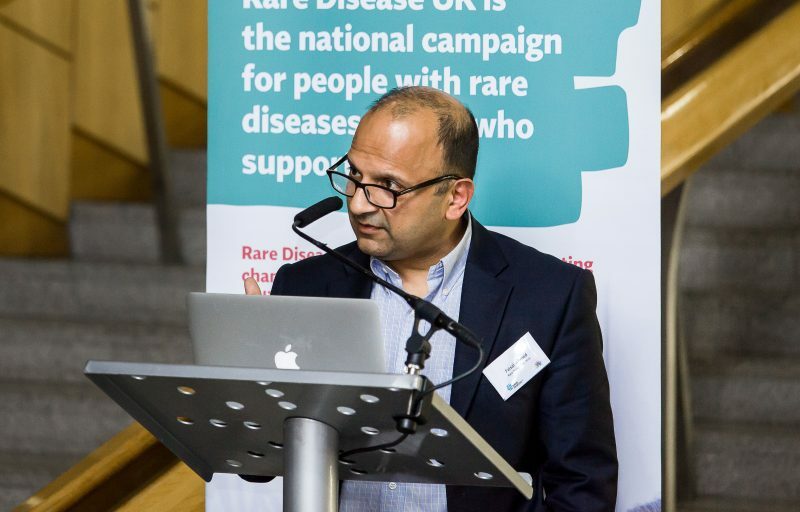 Finally, my links with Endo-ERN have also allowed me to join another pan European project called the European Joint Plan for Rare Diseases which was launched in January 2019, it is a patient-centred initiative to foster rare disease research, which I believe will take forward research and training in neglected areas. We, in Scotland, have been leaders in delivering care through clinical networks and it is so sad to think that in years to come we will not be in the premier league. The central tenet to ERNs is centres of excellence delivering care through sharing of expertise as close to the patient as possible, ie the same as the rationale for managed clinical networks in Scotland. Of course, EU funding provides many benefits but it is not all about money, it is about the professional clinical and academic networks that had a common vision around the care of the person with a rare condition. We can have these networks in Scotland but they will never be able to replace what we can currently do across Europe. Personally, I have invested a lot of energy in not just being part of these clinical and research networks but also in leading them. Moving some of this work to another EU Member State is becoming increasingly likely and I am being invited with open arms! Not only does this mean that, sometimes, my commute is going to become a bit longer, the obvious downside for Scotland is that over the last 18 years the skills and track record as well as the potential to attract funding in this field will drain away from here.